The Low-Down: Doorbuster! When Are Holiday Sales Too Good To Be True? Doorbuster! When Are Holiday Sales Too Good To Be True? Deep in our bones, many of us suspect that the barrage of sales promotions we see in stores and online have to be a trick in some way . . . we just don’t know exactly how. Add to that the desire—and need—we have to pay a low or at least fair price for products we want for ourselves or as gifts at the holidays. Starting with Black Friday (this year Nov. 23), then on to Cyber Monday (Nov. 26), retailers use sales come-ons to ignite our holiday shopping spirit—and to get us to loosen our grip on our wallets. Shopping can be fun or exhausting or both, depending on who you are and what’s going on in your life. Regardless, the need to scrutinize sales deals and be a careful shopper is more important today than it ever was, given the ease of our “buy with one click” shopping culture. Class-action lawsuits filed by consumers over allegedly deceptive pricing practices have been on the rise recently. Since 2014, more than 150 lawsuits have been brought against more than 80 retailers, alleging that they duped consumers through false price advertising, says Stephanie Sheridan, a partner with law firm Steptoe & Johnson in San Francisco, where she represents retailers. One of the most problematic sales practices in recent years concerns the legitimacy of “original” prices printed on price tags, says Meghan Stoppel, assistant attorney general and head of the consumer protection division in the Nebraska attorney general’s office. Federal and most state laws generally prohibit comparing a sale price against some other price (like a manufacturer’s suggested retail price, or MSRP; a competitor’s price; or some other former price), Stoppel says, unless that “anchor price” was offered to the public for some reasonable period. However, what exactly is a “reasonable period” has not been defined by the federal government, which leaves it up to each state to try to interpret what that means on a case-by-case basis, says attorney Sheridan. But if the anchor price was never available to consumers, there’s no real sale, and so the sale price is deceptive. To check the legitimacy of discounts offered by 19 national retailers, Consumers’ Checkbook, an independent nonprofit advocacy group, tracked the prices of 20 big-ticket items sold for 10 months last year. It found that many of the items were advertised as on sale more than half of the time. And at a few chains— JCPenney, Kmart, Kohl’s, Macy’s, Neiman Marcus, and Sears—most items were offered at a discount every week or almost every week. In other words, the “regular price” listed on all those price tags was seldom, if ever, the price customers paid, according to the Consumers’ Checkbook report. Only two retailers, Bed Bath & Beyond and Costco, consistently offered legitimate sales. In emailed statements, Sears, which also owns Kmart, disagreed that its pricing is misleading or deceptive, writing that “we are uniquely positioned to provide discounts to our members and customers in a number of different, legally compliant ways.” JCPenney said it was committed to “delivering the quality, price, and value that customers expect.” Macy’s affirmed that its sale pricing varies for each item depending on a number of factors. Kohl’s and Neiman Marcus did not return our request for a comment. According to Sheridan, at the begin­ning of 2017, very few of the lawsuits filed against retailers had advanced past preliminary stages. But in January of that year, Amazon agreed to pay $1.1 million to resolve a suit brought by the Canadian Competition Bureau, a law enforcement agency that ensures businesses operate in a competitive manner, concerning pricing practices on its Canadian website. Per the bureau’s report: “Amazon often compared its prices to a regular price—or ‘list price’—signaling attractive savings for consumers.” The agency concluded that these price comparisons led consumers to believe that prevailing list prices were higher than the prices they were being offered. And the investigation determined that Amazon failed to verify that the list prices its vendors supplied were, in fact, correct. At the time the settlement was announced, Amazon had already made changes to validate list prices provided by suppliers. Amazon declined to comment on the record. On June 2 last year, the California Court of Appeals affirmed that Overstock.com had to pay $6.8 million in penalties. The major issue was Overstock’s use of “advertised reference prices,” which it labeled “list price,” “compare at,” or “compare.” The trial court found that Overstock had consistently used advertised reference prices created by various methods that were “designed to overstate the amount of savings to be enjoyed by shopping on the Overstock site.” When asked for comment, Overstock told us it had nothing further to add. This past April, Neiman Marcus agreed to pay $2.9 million to settle a class-action lawsuit that alleged the company misled consumers at its Last Call stores in California by putting a false original price on price tags. The suit claimed that the goods were never offered for sale at the original price, as suggested by the price tag, and that the false higher price was designed to deceive consumers into believing they were getting a bargain by purchasing goods at Last Call. Neiman Marcus did not admit liability to any of the class-action lawsuit allegations. Michael Kors and Ann Taylor reached similar settlements in cases based on similar claims. Neither responded to our request for a comment. To avoid lawsuits, retailers are refining some of their practices, Yarrow says, often by being more vague. “They may just cross out a higher price, or say ‘Compare To’ instead of ‘Was,’” she says. Or they may put items on the sales floor priced high, knowing they won’t sell many until they mark them down in a few weeks. 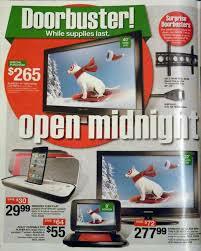 Doorbuster DealsAs you probably know, this practice occurs when stores open early to offer deep discounts on widely sold products in limited quantities. Though especially common on Black Friday, doorbusters can also take place at other times of the year, such as during back-to-school season. This is sometimes shortened to BOGO. Frequent shoppers are so accustomed to it, they know it by the acronym. The deal is sometimes structured as “buy one, get one free” and sometimes as “buy one, get one for 50% off” or some other amount. “We get excited by the prospect of a big price reduction, so we don’t do the math very carefully on these sales,” says Vicki Morwitz, professor of marketing at New York University’s Stern School of Business. “We think we’re getting a 50 percent discount off the entire order, but of course we’re not.” For example, say the item is $80. Purchasing two on a buy one, get one for 50 percent off sale will cost $120 ($80 plus $40) instead of $160, which is a 25 percent discount from the “regular” total price. If the deal is buy one, get one half off, it’s usually the lower price of the two that gets the 50 percent reduction. So if the first item is $80 and the second is $40, then you’ll pay $100 instead of $120, and your discount is only 17 percent. Here’s how this works: First, you are “baited” by merchants who are advertising products or services at a low price, but when you go to the store, you discover that the advertised goods are not available or you are pressured by salespeople to consider similar but higher-priced items (the “switch”). According to Stoppel, U.S. courts have held that the retailer using a bait-and-switch operation may be subject to a lawsuit by customers for false advertising and can be sued for trademark infringement by competing manufacturers, retailers, and others who profit from the sale of the product used as bait. In most going-out-of-business sales, the business is not in charge of running the sale. Instead, the company will sell off all its products to third-party liquidators; these liquidators then hold the sale, according to the Federal Trade Commission. Because the MSRP is higher than what stores typically charge, liquidators may use it as the starting point when they figure the discount to offer. In this way, the “sale” price could be higher than the price at which an item was available before the going-out-of-business sale began. Gift certificates, coupons, or store credits are generally no use to you in a liquidation sale: Liquidation firms most often won’t honor them. So if you hear a store is going out of business, act fast to use those before it actually closes up shop. In addition, it is probable that a “no refunds or returns” policy will be in force, so it is important that you carefully inspect merchandise before buying if you shop such a sale. Double check that the product comes with its instructions and warranty cards, especially if you’re buying appliances and electronics. Some states limit how long a seller can advertise that it’s going out of business, according to the FTC. For example, sales might be limited to 30 days unless the seller applies for, and is granted, an extension. That helps protect customers from being duped by never-ending going-out-of-business sales, the FTC says. This holiday season there will be no shortage of sales come-ons from stores. The only way to know whether deals are real is to compare prices offered by other retailers. You can do a manual check of all the items you want at a variety of retailers, but this approach can be very time-consuming. That’s why digital options offer a lot of convenience. But read the privacy and terms-of-use disclosures before using these tools to make sure you’re comfortable with the amount of information they collect. If you are, this arsenal of apps, alerts, and browser add-ons can help level the playing field, at least a bit. Here are some to consider, and when to employ them. Browser ExtensionsThese are plug-ins that you add to Chrome, Firefox, Safari, or almost any web browser—and most (including the ones listed here) are free. They scour the web for discounts, coupons, and deals to bring you the best prices every time you shop. Enter items you’re searching for, and these apps will let you know when prices for the items have dropped. Price Comparison AppsUse these while shopping in stores to find better deals if they are available from competitors, often online but sometimes at local stores as well. Coupon AppsThese send discounts online or to your phone to use when you check out in stores. These link to your email and search the web after you charge something and get an e-receipt. If the price drops on a purchased item, they initiate the refund, but you may have to supply bank and credit card info.